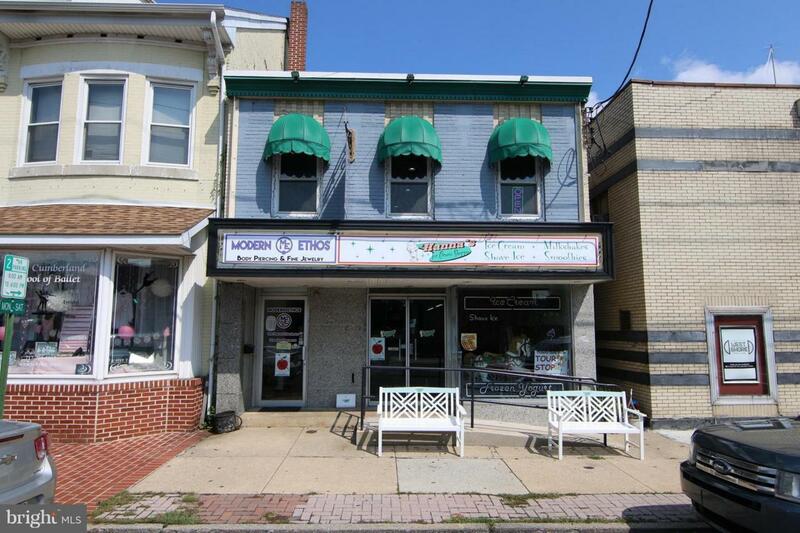 A well-maintained~ solid two-unit commercial building that is located in the heart of New Cumberland~s business district. Located on Bridge Street directly across from post office and next door to the West Shore Theater with plenty of foot traffic. A thriving business district with a wonderful sense of community supported by the large local population. Ultra convenient location only minutes from downtown Harrisburg and Camp Hill with quick easy access to I-83, Rt. 581 and the PA Turnpike. Renovated in early 2018 and easy to manage with good tenants. Recent updated include new electrical, HVAC, flooring, drywall and bathrooms. The first floor is presently occupied by Hanna~s Ice Cream Shop who has been doing business in New Cumberland for years before moving to their new space here on the first floor with new build-outs. The second floor is occupied by Modern Ethos, LLC who is extremely content with their space and will soon be extending their lease long term. Super easy property to care for that delivers a great return on investment. Safer than putting your money in a vault!